“UMANG” UB-MD-2.6 Grade Transformer Boards is recommended to be use in all types of Distribution Transformers. High purity and mechanical strength. UMANG BOARDS , is the one of the India`s leading technology companies established in 2001 , Umang Boards successfully developed manufacturing of most competitive and advanced Transformer Insulation Products. Our core competency is in the development and production of Customized solutions for high-temperature applications and cellulose based insulation systems. Electrical Insulation Transformer Boards (Pre Compressed Press Boards) in sheet form . A wide range of special Machine & Moulded insulation components. We are presently the only company in India with capability to produce non-metallic particle Press Boards. 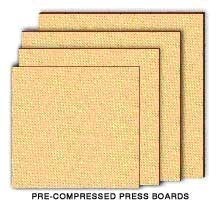 Our Press Boards length is in Machine Direction which gives our Press Board extra strength for Strips, Spacers and other Components used in transformers . Leading supplier of transformer board, molded and machined parts, sets and kits , corrugated Boards and electrical insulation paper , crepe paper & tubes , DDP paper etc .